Agree. For many of us, English may not be our first language, so sometimes things many not sound quite as intended. We should all keep our cool, and also keep those discussion about skiing danger elsewhere. It is not my intention to try to say what is going on, I don't know this.. I have the same information as you guys. My only goal was to try and explain the difference between secondary and primary injuries. At this stage, the docters are more concerned with the secondary. Therefore, when they say that his situation is improved, it is regarding the secondat problems (because of pressure), they don't mean that the primary damage is healing. This doesn't mean I'm a pessimist or something, definitly not. I believe in der Kaiser. We used to joke when Ferrari was sweeping all under the rug with Michael driving. We used to say: "The Romans are coming and this time they have a German tank commander!" The video link to Sabine's interview. Michael Schumacher was not skiing at high speed when he fell and hit a rock, according to his official spokesperson Sabine Kehm. Although Kehm was not present at the ski trip in Meribel, after speaking to other members of Schumacher's skiing party, she believes that the accident on Sunday happened at low speed. "In between red and blue slopes there was an area and they went into that. "He helped a friend who had fallen and went into deep snow, hit a rock and was catapulted into the air and landed head down. "It was extreme bad luck, not because he was at speed." Schumacher remains in an induced coma in Grenoble hospital, although there has been a slight improvement in his condition overnight. The surgeons who have attended to him believe that had he not been wearing a ski helmet he would not have survived the fall. What a bizarre and stupid thing to happen?!?!? 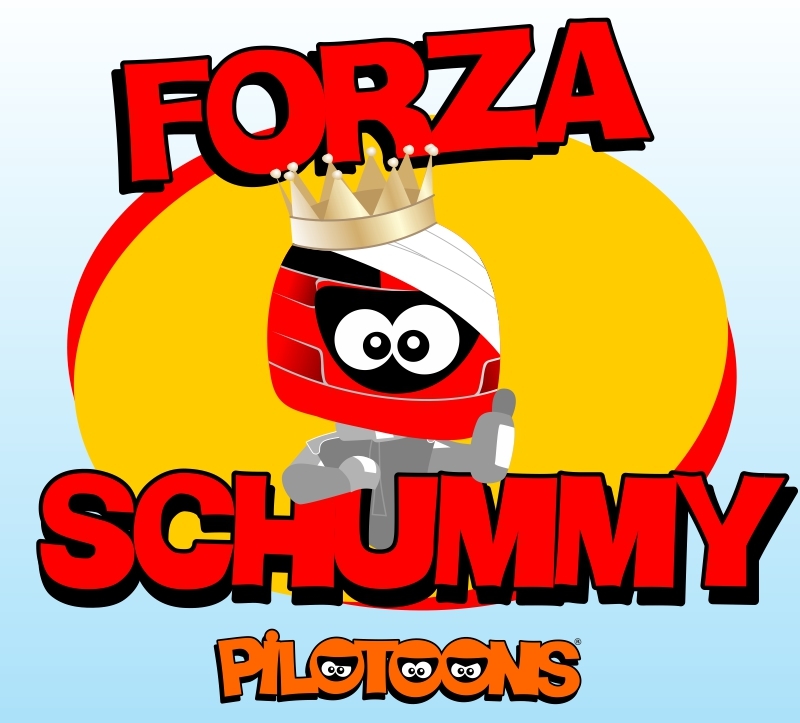 Sounds like just an unfortunate accident and Schumi is not to be blame. They were not skiing in that part, just so happens someone needed help there. I'm sure most of us would have done that too, can't expect them to leave him there. Trying to keep positive here. He is such legend. 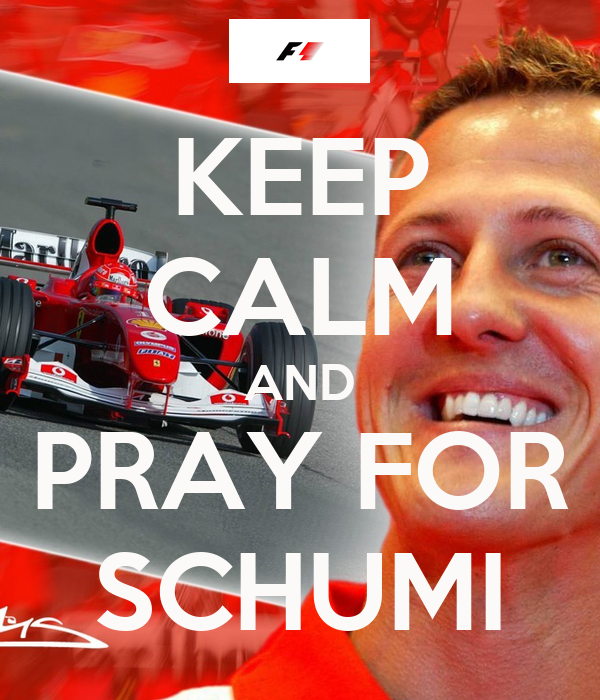 Would be devastating if he doesnt make a 100% recovery, i suppose i feel this way cause it is michael schumacher! You expect nothing less than 100%. I dont understand why some people are being hypocrites about him doing something dangerous and getting injured, since this is how we came to know him, so taking all those risks on track for ferrari and f1 was ok, but not skiing? Perhaps if ferrari had a skiing team in the FIS? so please try not to be too critical of his choices in sports, it is what it is, and most important he is what he is, and as far as i'm concerned he has my full support right now in this difficult time. Yes perhaps those who were banging on about risk-taking will think twice before making comments that could be deemed uninformed and insensitive in future. Over 48 hours now and Michael's still with us, come on Schumi you can do this! I started this thread because i was shocked at the news and was hoping to share my best wishes for a quick recovery with like minded fans. We are all routing for him and we are all waiting for the good news we are all hoping for. In early 2004 i was about to celebrate a big birthday and had dropped hints for 12 months about how much i support Ferrari and of course MS. Every family meal i would drop another hint and so the year went on. I found out from my daughter the family had clubbed together for a present and was looking forward to tickets for the UK GP at the Silverstone Circuit on 11 July 2004. On the day of my birthday, i had booked an expensive venue, everyone was there i was thrilled when my wife handed me the present. I opened it and it was....................a gold chain. I don't wear jewelry so thought, haha its a fake the tickets are under the lining of the box several minutes later and embarrassed silence, i realised that the gold chain was real and that was the gift. Said thanks and never ever got to see MS race in a Ferrari. USGP 2003. Was there. Got freezing rained on and sunburned all on the same day. Cars roostertailing. DC tried to take Schumi out for Kimi. You could see the tire mark on Schumi's car. He dropped down many spots. Came back and won the race. I hope for health and happines to Michael and all of you!! Yes it is. I am very proud of it, and that is why I have it on the wall in my living room. Michael, we all need this 92nd win from you! Buon Natale to all of you, let's hope we actually have something real to celebrate soon. My thoughts at this moment are with Corina Schumacher and their kids, who must be going through the worst New Year imaginable. Last edited by Poltergeistes; 1st January 2014 at 02:22. Great post, Poltergeistes. I don't think you will ever quite know how appreciated your posts were during those horrific first few days after Felipe's accident, and like I said before, I cannot believe that we are having to go through this again. All I want for the new year is for Michael to get better. Also I have noticed that 99% of the reports and photos I have seen of Michael or fans have been Ferrari ones; all red and prancing horses. Always associated with Ferrari; just as it should be. Personal memories of mine would be me running like a maniac to get to the podium in Spa 2001 - we realised about 3 laps before the end that they were going to let the gates open, so we jumped over walls, pushed past people, avoided security guards with Alsatians, and ended up right underneath the podium to see him lift the trophy that saw him beat Prost's record for all-time wins IIRC. Also special was seeing him race at the Race of Champions in 2007 and 2008 - I dragged my best friend along that first year even though she's not the slightest bit interested in racing, and even she was cheering for him. Special times. Michael is so famous and so talented that he has always seemed somehow other-wordly to me. It's not going to end like this. Last edited by Suzie; 1st January 2014 at 02:55. Thank you for sharing that Suzie! I think i agree with what DC wrote, the one good thing that came out of all this are all these great memories being shared, like i mentioned about senna's death, what was more incredible about it was how much nice things came to light only after something bad happened, and then we found out just the extension of the goodness the human being an sportsman had. I'm sure this time we will all go through this proccess of remembering Michael's greatness, but this time around we WILL have a happy ending, and Michael will get to know just how much special and apreciated he really is throughout the world. He is a legend, it still feels strange to me when i come here and read that he had an accident and is fighting for his life, it feels surreal. but i do feel optimist about it, because the first 48 hours were the critical, and he pulled through that, he has taken the lead of the race! now he just have to maintain it and hold it together till the finish line, where all the tifosi an th f1 fans will be waiting to see him on the highest spot on th podium! i realise that it's very hard that he will come out of this like felipe did without any demage, but as long as he gets the chance to wake up, do all the therapy work, i'm sure he will eventually succeed cause as the saying goes "if anyone can do it, its michael" !!! just seen the news this morning and seen the ferrari fans outside the hospital with the flags etc. just shows that even though he hasnt raced for us in 7 years, we still treat him like hes our current driver. makes you proud to be a tifoso at times like this. I prefer to look at this as simply another "race" for Schumi. He started the "race" with a poor first lap that caused some significant damage to his car; he has gotten some great strategic advice from the team to sort out a few issues with the car through an early pit-stop and now he has been given a fighting chance by his team to win this race. That's all he has ever needed; a fighting chance. The medical team have done this for him and now he is just getting his eye in. The string of qualy laps from schumi are just around the corner. I am confident that this will be his greatest "race victory" ever! Doctors do fight along with the patient. I don't care if Michael joined Mercedes. For me , Michael is a great part of the Ferrari Legend, he has offered a great deal to it, and has given us really great joys along with the people that were responsible for what was known for the regeneration of the team. I was shocked to find out that he was injured and to be in this shape, but, I am also happy to see the kind of support that he is getting from all over the world , friends or "foes", sort of speak. DC's post is a really wonderful one for instance. If there is one race I should pick, it has to be Spain 1996. There are no words for this one. I have watched it too many times, and I honestly don't think there's anyone right now that could come any close to the mastery that Michael has displayed in that race. Then again.. there are too many races he has driven, too many he has won. I am rooting for him, I wish he will pull thru and I am crossing my fingers that he will be in good health with his family, as soon as possible. In the mean time , I do hope that in this thread there will be the respect necessary from everyone to the man, and all of us that love him.